SACRAMENTO, Calif. /California Newswire/ — Next time you find yourself at a football game, with a front row seat to a brawl in the stands between two rowdy fans, you’ll be able to more quickly and less conspicuously summon stadium security. Assembly Bill 2464, the Improving Personal Safety at Stadiums Act, authored by Assemblyman Mike Gatto (D-Los Angeles), was signed into law today by Calif. Governor Brown. The Act will require major-league sports stadiums in California to clearly post the numbers fans can use to call or text-message stadium security, both inside and outside the venues. Most stadiums verbally announce the contact information for stadium security at the beginning of the game, but many fans don’t remember this number several innings later and in the midst of an emotionally charged altercation mere steps away. Now fans don’t have to memorize this number – it will be a mainstay at all professional sports stadiums and arenas in the state. Posting these signs will enable incidents to be resolved more quickly, before a victim is seriously injured. In fact, several of the more high-profile beatings lasted over a span of several minutes, during which frantic fans dialed 911. In those instances, it is stadium security (from within the stadium) and not the police (coming from outside the stadium) who is best equipped to quickly respond and prevent an injury from becoming more serious. 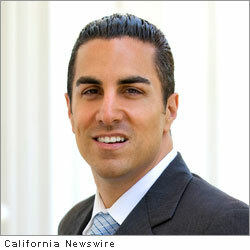 AB 2464 is one of three bills signed into law today authored by Assemblyman Gatto. Mike Gatto represents the cities of Burbank, Glendale, and parts of Los Angeles, including Los Feliz, Silver Lake, and Atwater Village. He is the Chairman of the Assembly Appropriations Committee.